Performance intervention with clothes iron. First performance 2007. 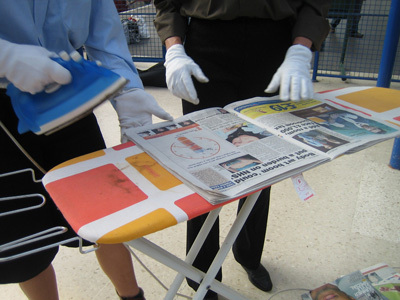 'Extreme Ironing' is a site-specific performance originally conceived for Vogelfrei, the 7th Biennale in Darmstadt, which takes place in streets and gardens of the city. The work takes its title from a new sport, whereby people undertake to iron clothes in adventurous locations. This project is however not concerned with spectacle or bravery, but investigates domestic ritual. Autumn leaves are gathered and ironed before being returned to the garden where they came from. 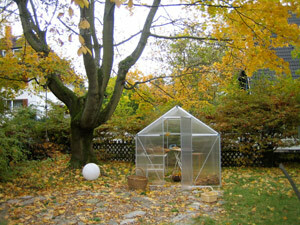 For the intervention a small temporary greenhouse was installed in a large private garden, housing the artist and the ironing board as well as allowing members of the public to watch and discuss the work. The ironing of leaves is a loving gesture repeated endlessly, and through the repetition the work becomes a game that defies traditional economic logic. Within the inevitability of the seasonal decay the work creates a playful interlude. Vogelfrei has become an important art event of the Rhein-Main region since its conception in 1995, with the participation of rising numbers of international artists, this year with 46 artists from eight countries (Argentina, Germany, Finland, Great Britain, Israel, Canada, Netherlands and USA). Also see The Contribution of Leaf Matter to the Mass of the Universe. Old newspapers are collected from the incoming trains, ironed page by page and, still warm, re-distributed to the next set of travellers. 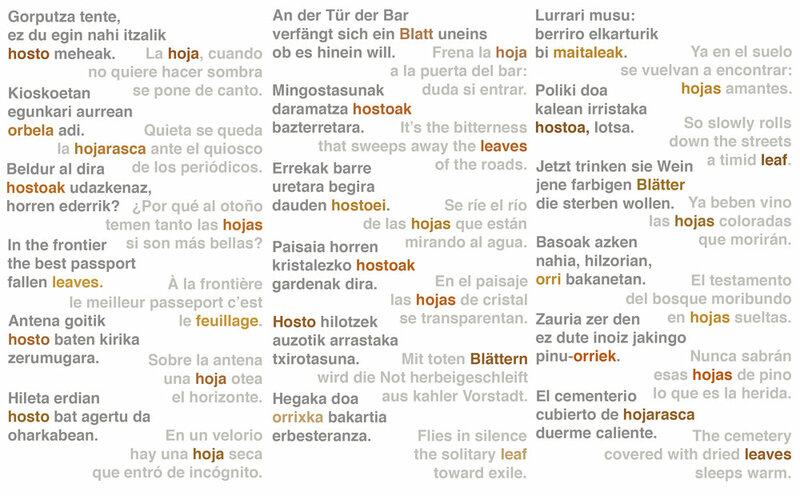 An old tradition is renewed, the discarded is given new life and the traveller ennobled! Performance intervention as part of Vogelfrei, 7th Biennale Darmstadt, Germany.